GOOD DAY -- WHAT IS YOUR PROBLEM? 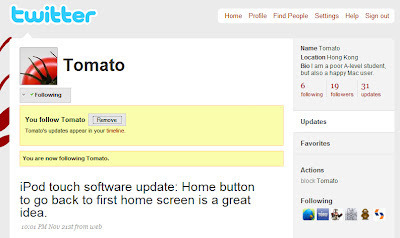 Please enter your sentence, or NEW (upper case) to start again. You: I fear extreme nachos. Eliza: WHEN LAST DID YOU DISCUSS SOMEONE ELSE? You: I blogged about it on the internet but you're the first doctor I've discussed my fear of extreme nachos with. You: I am afraid of extreme nachos. You: What do extreme nachos have that super nachos don't? Is the extreme topping sinister evil itself? Eliza: DO YOU REALLY WANT TO KNOW? You: Was it gratuitously superfluous of me to use the adjective "sinister" with the word "evil"? Eliza: COULD YOU EXPRESS THAT MORE SIMPLY PLEASE? Eliza: ASKING WHAT'S MAY BE THE WRONG QUESTION. If you're too weak in the knees to say "exteme nachos" to your waitress or counterperson, simply point to a picture of extreme nachos. To become extreme, extreme nachos undergo extreme modifications not found in regular nachos or super nachos. Ask yourself why. How come the tortilla chips are in strips and not triangles? What's bacon doing in it? And why is the salsa blue? Confront your fears. This will help you face the arrival of your extreme nachos. Remove truffles, gold shavings, and foie gras. For sugar, I prefer sugar with a hearty white texture. In my unbiased opinion, Pepperidge Farm Farmhouse Hearty White Sugar is the best sugar to negate fiery extremeness. Look for pubic hairs in the sour cream. 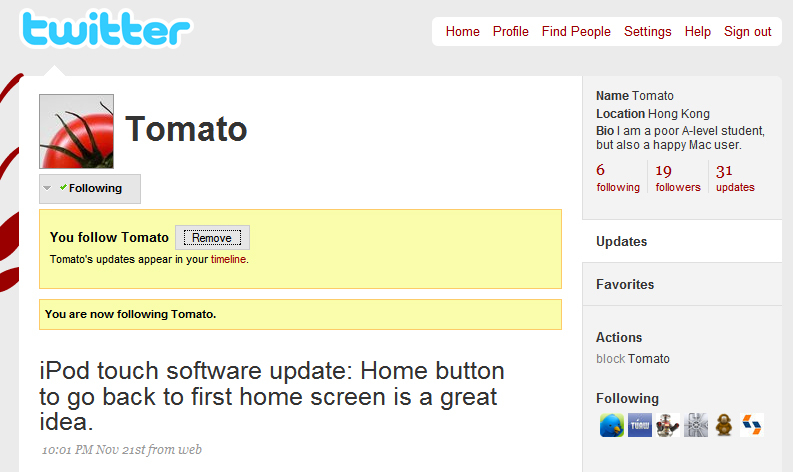 Unfollow Tomato, who you've been following since 2009. Just eat it already. But Instragram it first. And drink lots of beer. Ironic beer, like Pabst's. And yell "BOOYAH!" or whatever you yell, you dumb hipster who likes and eats nachos ironically.